A couple of weeks ago, I wrote a post about meal planning and the importance of it. If you don’t meal plan already, start today! It can be challenging to meal plan but very rewarding. Inevitably though, some weeks are busier than others and some days are longer than others. I hear friends and family saying that meal planning isn’t for them because they don’t have a flexible schedule that allows them to go home and eat on busy days. 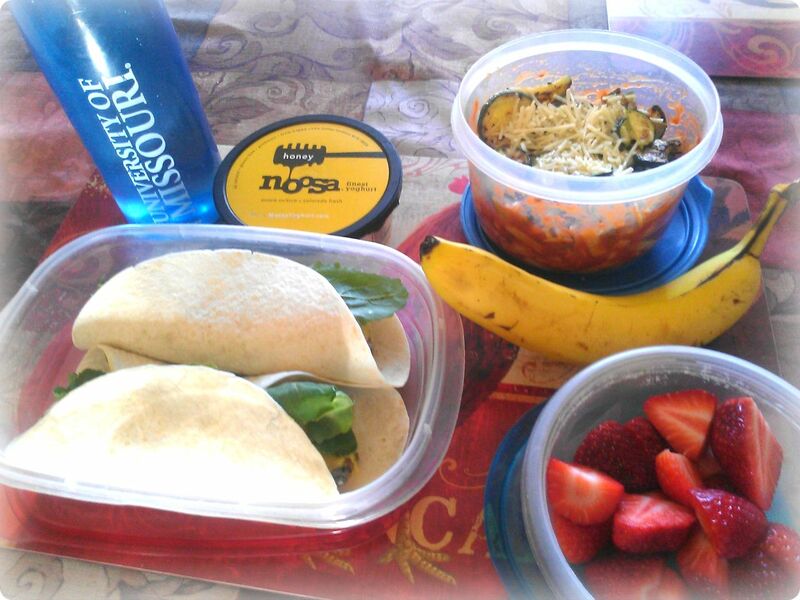 How do you stay on track and meal plan for impossibly long and busy days? Let me make this clear: I do not like spending extra money on food unless I plan in advanced that I will. For instance, I do not do last minute lunch or dinner plan outings. If I go grab a bite with friends some place, I planned it in advanced. I usually politely decline if asked the day before or the day of because my meals are already accounted for and I love my meal schedule (I created it so I am usually looking forward to eating what I planned). Eating out is a seen as a luxury in my home, not a daily ordeal. Yesterday was one of those days from nightmares for me: the day started at 6:15 am, I had to leave the house by 9 am and I didn’t make it home until after 9:30 pm. Needless to say, it was a grueling day. I couldn’t prepare for every bump in the road or how grouchy and tired I became around 7 pm but I could prepare for my meals. I could alleviate my working brain from worrying about what I was going to eat next. The way I did this was super simple. 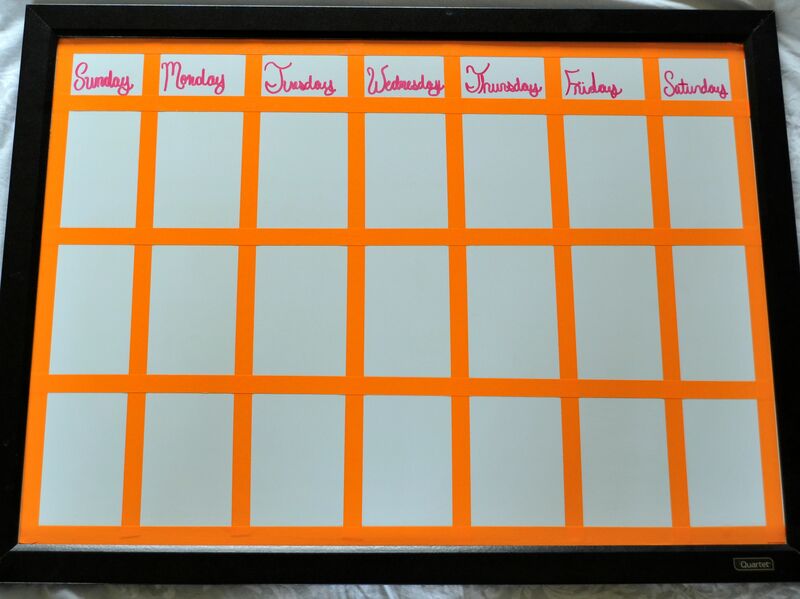 If you want to meal plan for the week the way that I do (meaning planning for all meals: breakfast, lunch and dinner) then you have to be realistic and plan for your working schedule as well. Saturday’s before I meal plan, I plan out my weekly schedule for the week. 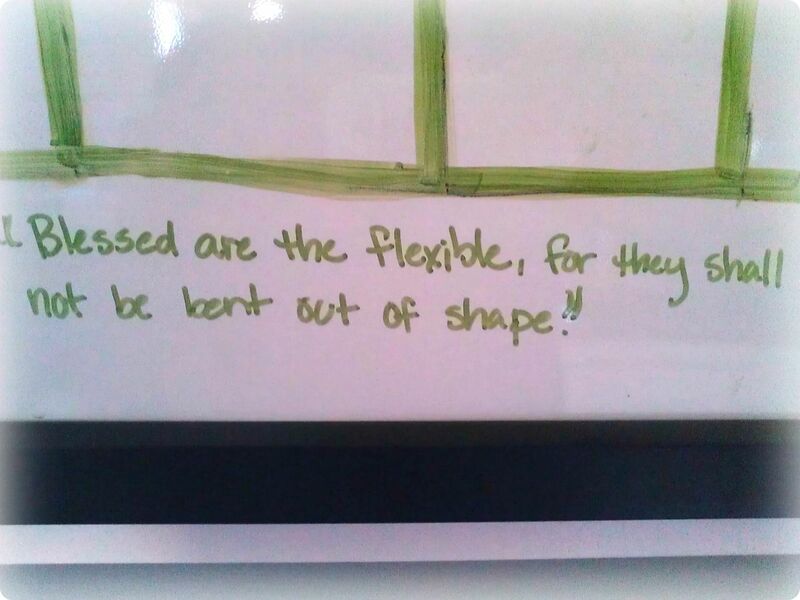 In my planner, I make lists of what I have to do (work outs, classes, social activities, meetings, grocery shopping, doctors appointments etc). I do this on a weekly basis. This allows me to see when my busy days are and know when I am going to be away from home for an extended period of time. Granted, I do not always accomplish everything on my schedule for that week, but the main thing I get from it is having an understanding of when my busy days are. After I plan for my week, I plan out our weekly meals. Based on what my schedule says, I know if I need to make extra portions of something for dinner one night so that I can have the leftovers for lunch later on during the week and I know if I need to pack a lunch on a Tuesday that includes not only lunch and snacks but also dinner. Yesterday, I was able to eat breakfast at home but that would be the only meal I had at my dining room table. I knew I would be on campus all day so I had to plan for that. 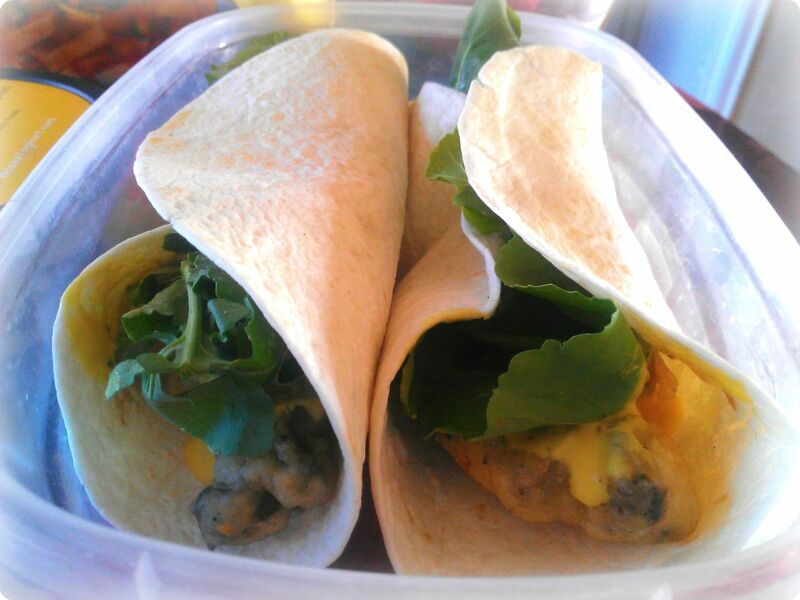 I packed a lunch for myself of the beer battered fried mushrooms from Monday’s dinner and repackaged them in a homemade tortilla wrap with vegan cheese, homemade honey mustard, and topped with arugula (even with a mostly vegetarian diet, meal planning works! ). 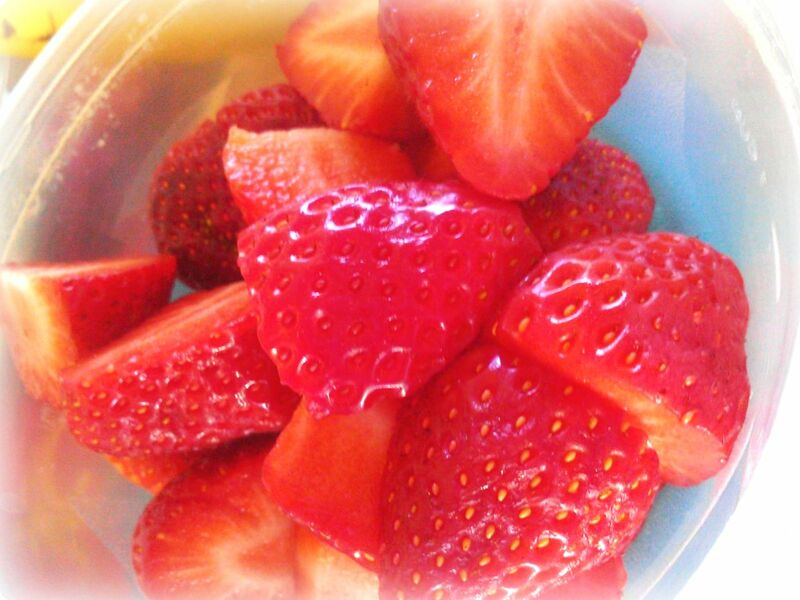 I packed myself a mid-morning snack of a banana and mid-day snack of strawberries. I also packed this yogurt (have you tried this yogurt? Seriously some of the BEST yogurt I have ever tried. This flavor is amazing. 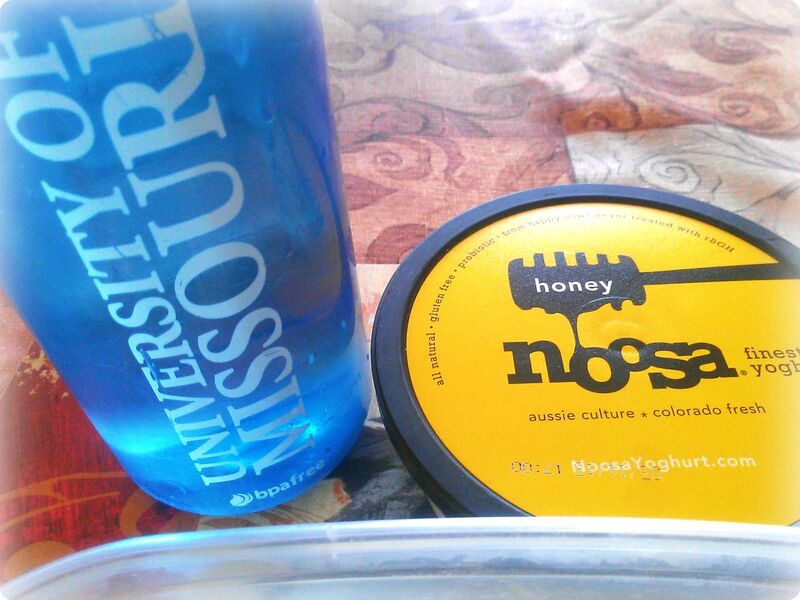 If you haven’t yet, go to the hippie aisle of your grocery store and get this yogurt!). Invest in a water bottle if you haven’t. Stop spending money on disposable bottles and sodas and just hydrate with water. It’s healthier and free! Now the part people struggle with: packing a dinner. I knew I wouldn’t be home until after 9pm and I hate eating that late and I refused to buy dinner some place. Since I woke up for my morning yoga class, I had enough time to shower and pack this meal (another tip: wake up early. You can’t meal plan successfully if you get up 30 minutes before you need to be somewhere). 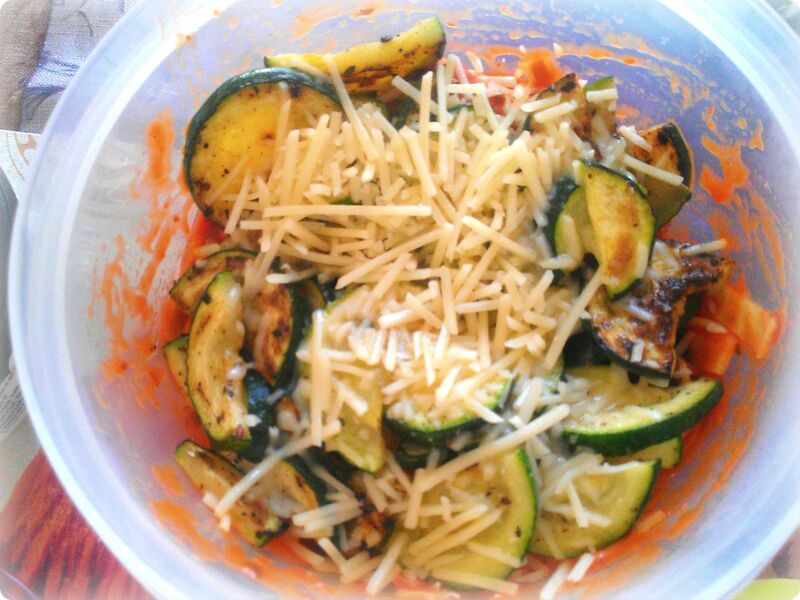 I made a pasta with red sauce and sautéed some zucchini to toss on top while I was getting ready. This filling and delicious dinner took 10 minutes to make. It is realistic, nutritious and not mundane. I was excited about every meal option and wasn’t tempted in the least to go out and buy food. I hope this helps and will continue to offer tips as people ask questions. Remember: meal planning rocks!